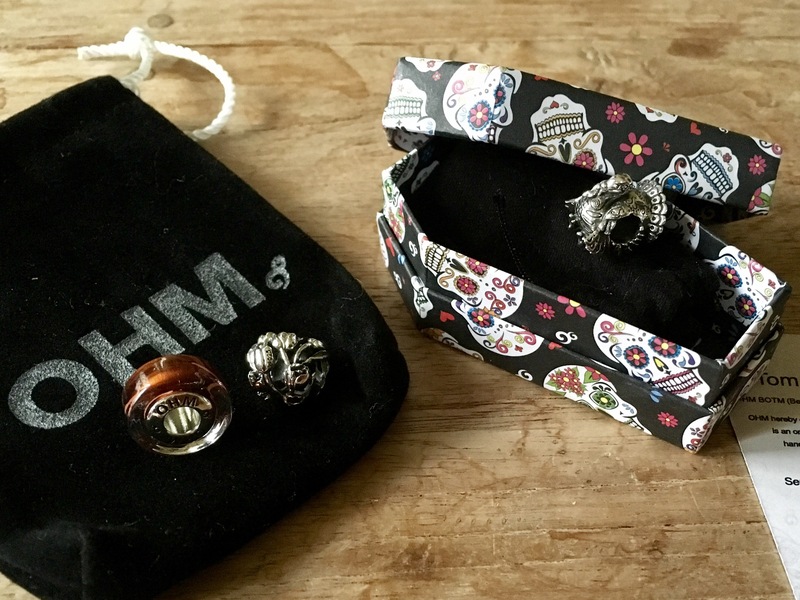 Yesterday saw the launch of another great Ohm beads collection! Among them the Typo collection, looks so much fun: old fashioned typewriter letters to spell words on your bracelet. New barrel shaped Holiday drinks. Exclusive for Charms Life another quote. 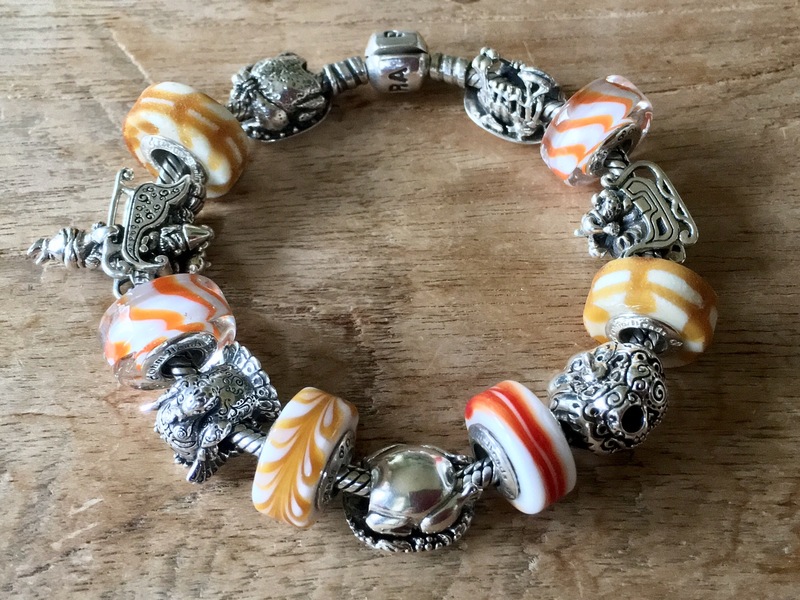 Bead of the month november. And the new addition to the Going Dutch collection!! This was my bead haul from this release. I could pick them up early in the morning and beadplay could begin! 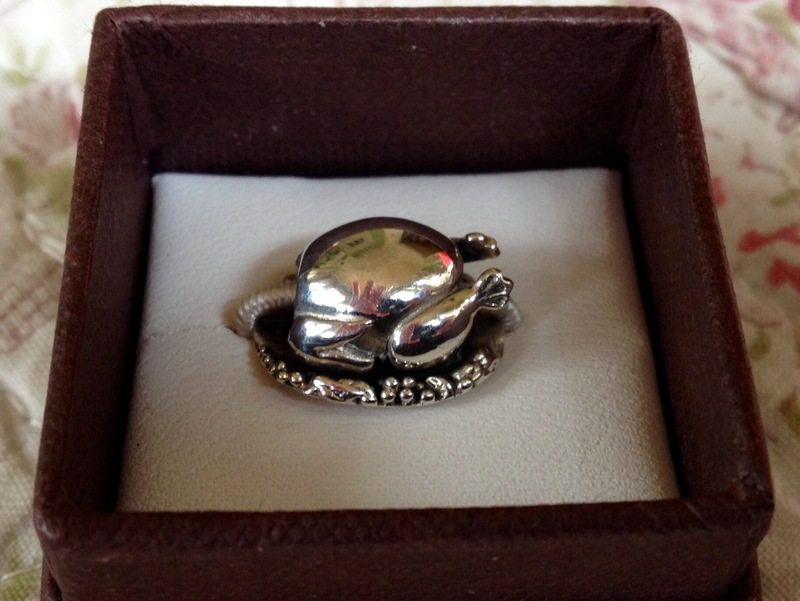 Meet Tom the Dead, bead of the month november. He is so detailed with the sugar design, big and bulky! 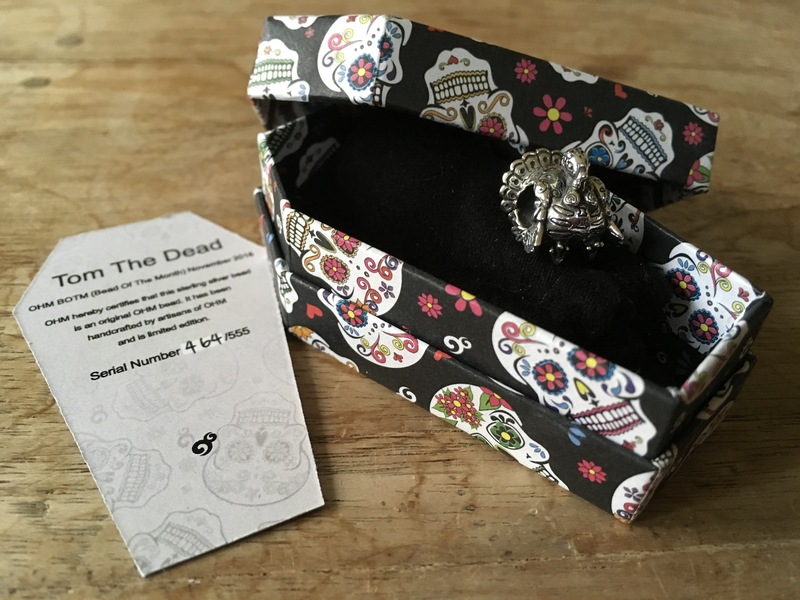 The box is stunning with the colourful sugar skulls. It comes with a numbered certificate. 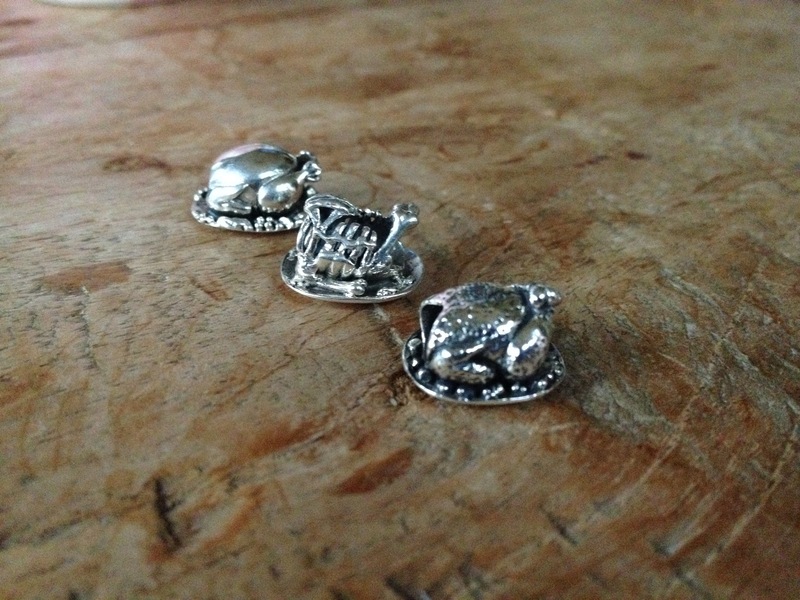 I was so lucky to find all the Turkey Platters Ohm released for Thanksgiving in past years. The first I found a year ago was Same but Eaten, the turkey dinner with all the trimmings left over at the end of Thanksgiving! This is the second edition of the turkey platters. A few weeks later I found the original Turkey Platter. 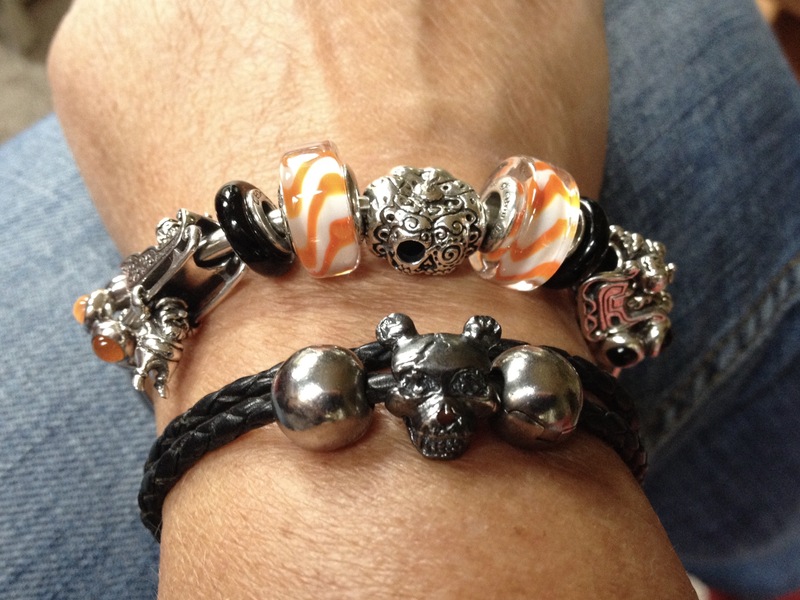 And bead of the month november 2015 completed the trio. 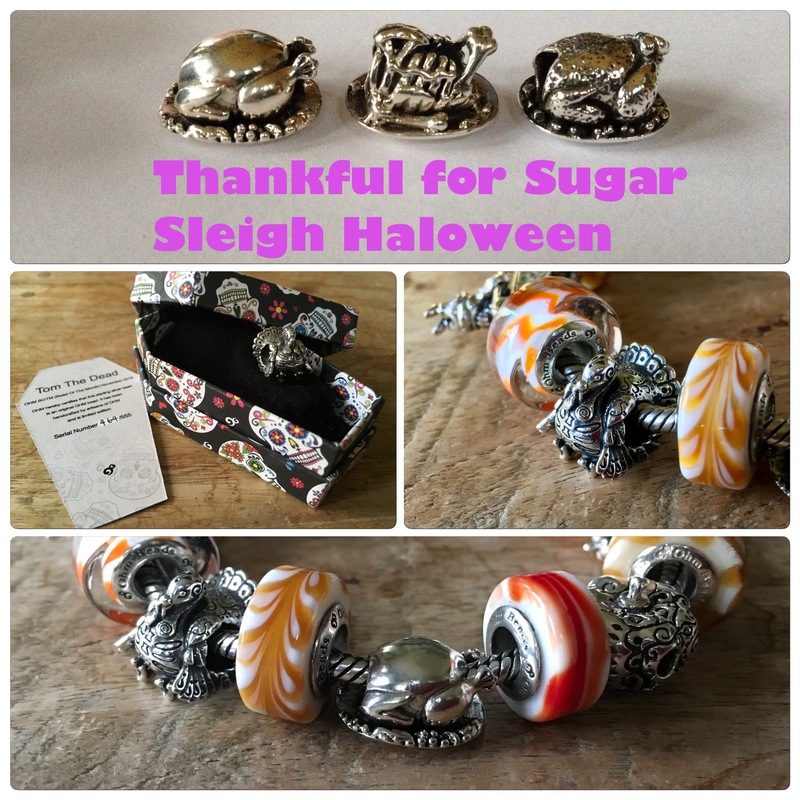 I had so much fun with my Haloween bangle and I decided to combine him with the Thanksgiving beads. Together with the Latte glass, thrown in some Bacon and the bracelet is finished! I am so happy with this bracelet! 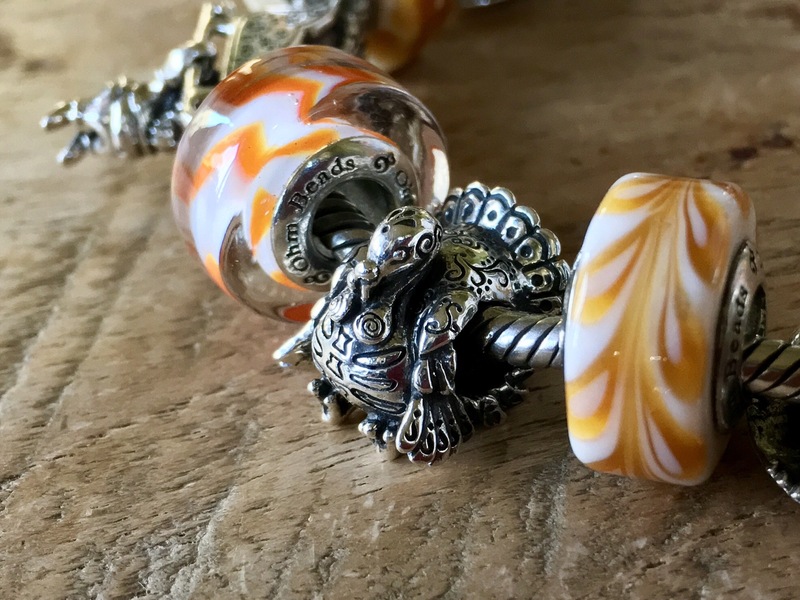 This really shows the fun Ohm beads put into their designs. ← I am Dutch you know!